Pink is Powerful - The Macho Blog. You may have noticed a theme on the Macho website lately… Pink! Buttons have turned pink, Sparring Gear have turned pink and we introduced our new Pink Collection. Not only does the new collection help promote awareness for the fight against breast cancer, but it also allows Martial Artists to express themselves in a proactive and powerful way. Shop the collection below! 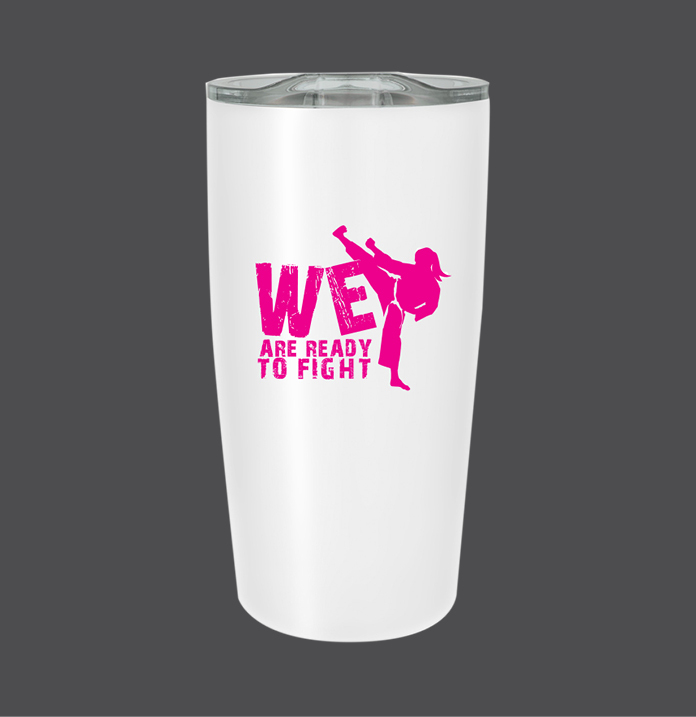 This awesome 20 oz tumbler is a great way to bring awareness to Breast Cancer. The bold bright pink graphic contrasts with the white. It has a double wall outer with black polypropylene inner lining. 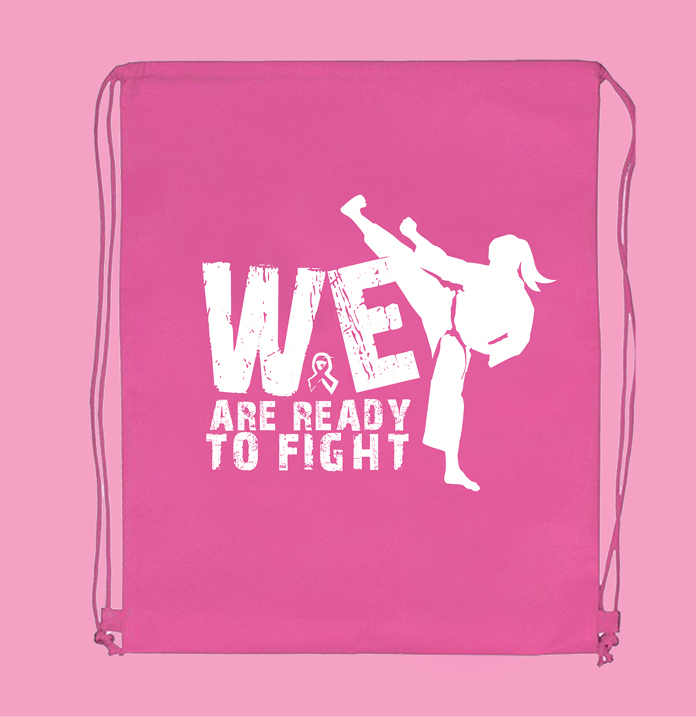 Show your support for Breast Cancer Awareness and love for Martial Arts with this durable pink tote bag. It measures 16” x 12” with 22” straps. Constructed of a non-woven, laminated polypropylene material that is easy to wipe clean while providing structure and strength. It is designed to resist water, tears, and UV rays making it the perfect gym bag to bring to workouts or sporting events. Bring awareness to the fight against breast cancer with these comfortable and powerful 50% cotton and 50% polyester t-shirt. The t-shirts match the Ready to Fight Tumbler and Backpack! 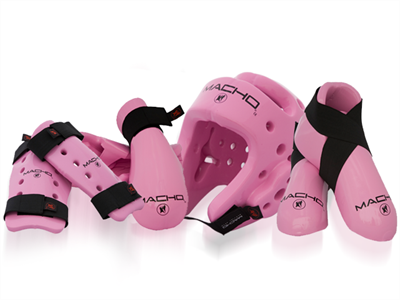 Macho’s most popular sparring gear comes in pink! Complete the set with a pink Dyna Head, Punch, Shin/Forearm Guard and Kick. Warrior gear has been rigorously tested and continuously beats out competitors gear when it comes to safety. 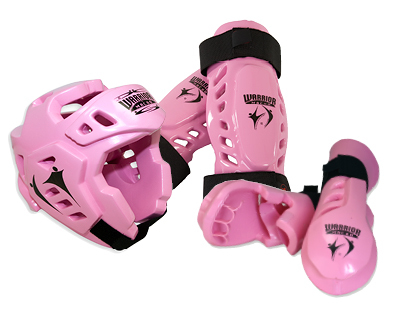 Warrior gear takes the saying “Pink is Powerful” to heart. Be your most powerful self in a complete Pink Warrior Set. Shop the Warrior Head, Punch, Shin/Forearm Guard and Kick today. 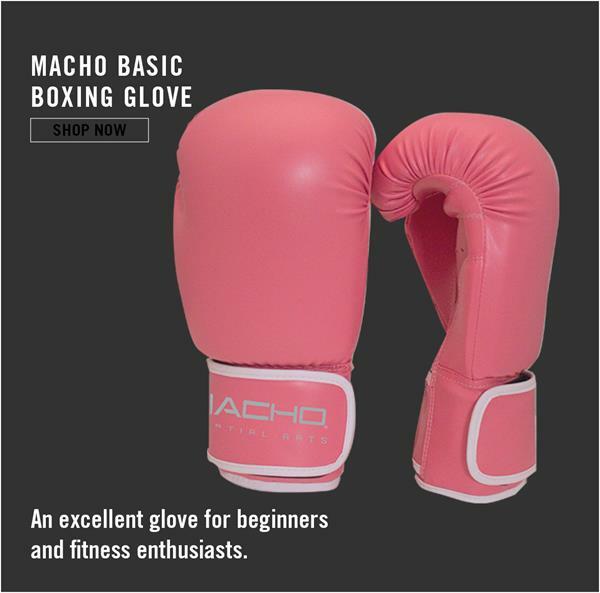 The Macho Basic Boxing Glove is far from basic when you get it in pink! Powerful punches abound with this high quality glove sold at a competitive price. 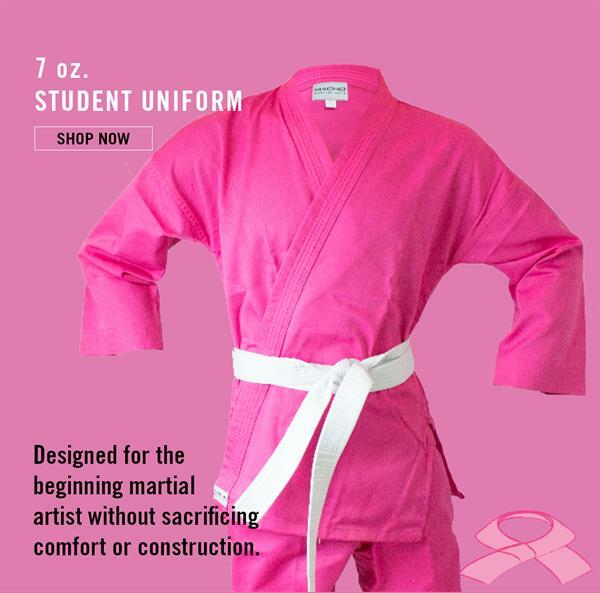 The lightweight nature of the soft cotton/poly blend makes this uniform a great option for new or developing martial artists and it’s now available in your favorite color… Pink! Browse the full Pink Collection today.